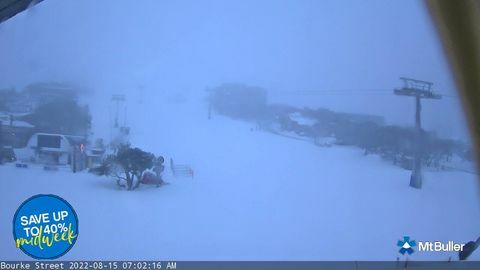 MT BULLER ACCOMMODATION BOOKING CONDITIONS TERMS AND CANCELLATION CONDITIONS. 50% of tariff payable immediately to confirm booking (non refundable). Balance not less than forty five (45) days prior to arrival date (non-refundable). WEEKEND BOOKINGS at Mt Buller are payable in full and due immediately to confirm booking (non-refundable) Your booking slip/ticket is your confirmation and acceptance of Booking Conditions. Payments by credit cards attract a 1% processing fee. Cancellations must be made by email, fax or mail. Cancellations made outside 30 days before arrival are subject to 15% administration fee and any additional operator fees which may apply. Cancellations made within 30 days of arrival are non refundable – except if Snow Guarantee applies. Mt Buller accommodation houses and all services listed in the Mt Buller Resort Guide are not responsible for Skiing/weather conditions. Refunds are at the discretion of the individual lodges and/or components. Should any component herein refund, Mt Buller Accommodation reserves the right to retain 15% booking/cancellation fee on the full tariff, Mt Buller Accommodation also reserves the right to charge an amendment fee. Bonds are payable on private apartment bookings either with final payment or upon arrival – please check with your consultant or Booking Confirmation Voucher. If damage occurs, amount will be debited against your Credit card/cash/cheque being held as bond. If amount is greater than Bond, client agrees to pay Mt Buller Accommodation for damage within 7 days. Bond will be refunded to client within 14 days. We always do our best to make sure your arrangements are satisfactory. The standard of accommodation and other services contained in the Mt Buller Resort Guide is based on various factors, which are generally accepted as indicative of a certain class or fitness for purpose of that accommodation or service. Mt Buller Accommodation does not accept liability of what ever nature for the acts, omissions of default, whether negligent or otherwise, of those coach operators, lodges, hotels,clubs,apartments,ski hire,lift companies or other persons providing services in connection with your tour pursuant to a contract between them and yourselves and over whom we have no direct and exclusive control. Mt Buller Accommodation, its respective servant, agents and employees shall not be liable for any injury, damage, loss, additional expenses, accident, delay or irregularity, whether in property, person, or otherwise resulting directly or indirectly from delay, charges in accommodation breakdown in equipment or vehicles, weather, strike, sickness, theft, cancellation of or changes in itinerary, or other cause beyond their control and without prejudice or limiting the generality of the foregoing shall likewise not be liable for any injury, damage, loss, additional expenses, accident, delay or irregularity, whether to property, person or other wise arising in connection with any accommodation or in connection with any vehicle or transport or other services. The right is also reserved to alter price, cancel or withdraw any tour. All fares are subject to change and acceptance of all documents confirms your agreement to these terms. If our Snow Guarantee lifts (see the list below) aren’t operating in the two days before you arrive, you can contact your booking agent to change your booking to a later date (extra costs will apply if swapping between season dates) or cancel your booking and get your money back. Please note: You can’t take advantage of the Snow Guarantee on the day you arrive nor during your stay, only up to 5pm on the day before you arrive. As an example, if your scheduled day of arrival is Sunday, then you must call between 9am Friday and 5pm Saturday to take advantage of the guarantee. The Snow Guarantee is valid from the day after the Queen’s Birthday public holiday in Victoria to the end of the declared snow season. Note: The Snow Guarantee only applies if the lifts aren’t operating due to insufficient snow cover. Ski Guarantee does not cover some private apartments and some lodges.